Palmina: Specializing in Italian varietals, Palmina hit the big time when some guy named Barack Obama served the winery’s 2015 vermentino at a 2016 White House state dinner for Italian Prime Minister Matteo Renzi. 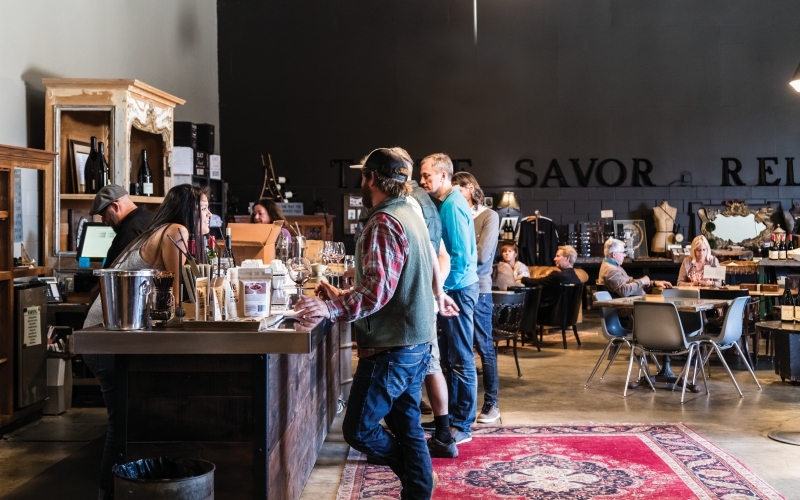 Pick up provisions either at Industrial Eats in Buellton or at Lompoc’s Central Coast Specialty Foods, where tri-tip and Cubano sandwiches—as well as a big selection of California and imported cheeses—are available. Along Santa Rosa Road on the Buellton side, you can picnic with views of the hills and rows of grapes outside the mission-meets-modern Lafond Winery and Vineyards. Closer to Lompoc, Sanford Winery combines a picnic lunch with a tasting at its impressive La Rinconada Vineyard facility.